It is our goal to bring all patients to the awareness that they do not have to live in discomfort with problems of the mouth or otherwise. We deliver only the highest quality of personalized care in restoring you to a state of optimum health. 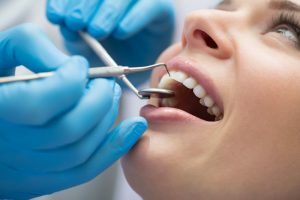 Oro-Facial Center offers a comprehensive list of services and procedures to personally treat your complex dental, including restorations for full mouth rehabilatations and facial prostheses. Whether your dental or restorative needs require a comprehensive exam, complex dental procedure, full mouth restoration, or facial prosthesis; Oro-Facial Center’s Team is committed to providing you exceptional care to restore the natural beauty of your smile and appearance. We are accountable to a high standard of excellence for your complex dental and restoration care. This enables us to provide the high quality services and procedures our patients expect and deserve. Oro-Facial Center’s 17 years of experience combined with our artistry and advanced technology will design a comprehensive treatment plan tailored to address your individual needs. We will clearly explain your treatment plan in detail so it is easy to understand to ensure the success of your treatment. Please click the links (on right) to learn more, and then schedule a consultation with our team – we’re looking forward to answering your questions with the opportunity to help you restore your natural smile!